This entry was posted in Blended Family Life, Blessings, Motherhood and tagged blended family, Christmas traditions, pictures by The Working Momaholic. Bookmark the permalink. Time continues to fly by…enjoy your time with your kids! 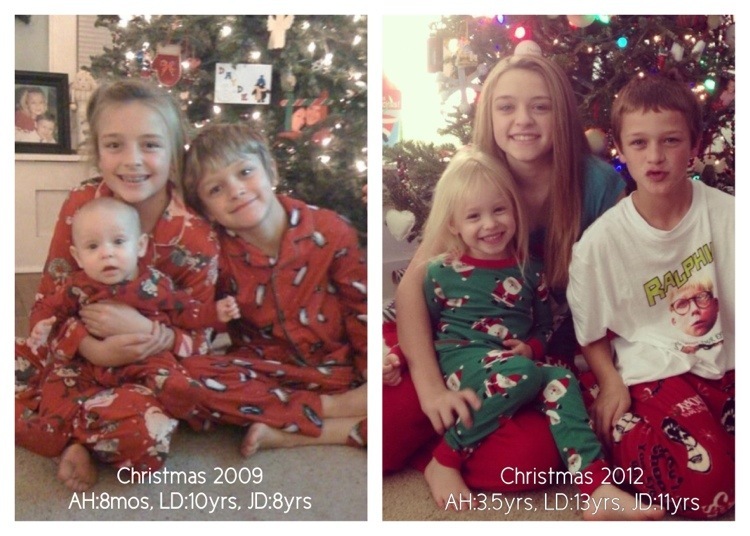 Seems like yesterday my kids were that age and I was taking the same pictures under the Christmas tree…now they’re both in college out of state. Great blog–I’m going to follow you for the A to Z Challenge! I’m blogging at http://www.nebraskafamilytimes.blogspot.com and http://www.achristianmomsguide.blogspot.com.